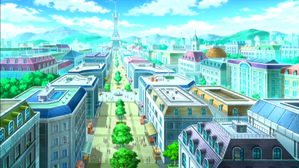 » Episode Guide » Viewing Episode: カロス地方にやってきた！ 夢と冒険のはじまり！！/We've Come to the Kalos Region! The Beginning of the Dream and the Adventure! !